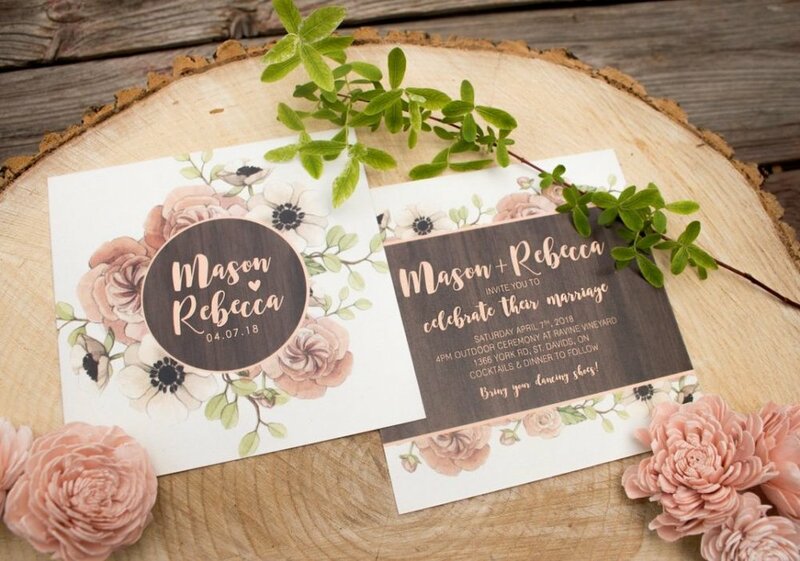 Wedding Invitations perfect for a rustic style or barn wedding! I was married in a barn several years ago, and because of the historical nature of farming, I think it will always be a lovely option for a venue! This design features my barnboard wood, peony & poppy watercolour illustrations!